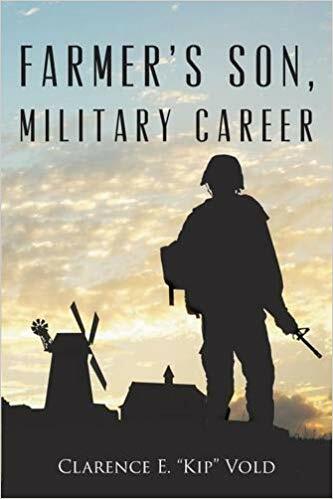 The author retells his meaningful and inspiring journey in “Farmer’s Son, Military Career.” He highlights important moments that helped shape him into becoming the man that he is today and shares the valuable lessons that he learned along the way. Other than reaching out to Veterans and military members in active duty, this book is a wonderful opportunity for the youth to look into the many facets of the life of a military man. Air Force Veteran, Clarence E. “Kip” Vold, looks back in time to share his journey from growing up as a farmer’s son to his unforgettable service in the military. He recounts many memories from his childhood like surviving blizzards and completing grade school. He also details his family history, his Norwegian roots, and how his family settled in South Dakota. Vold also narrates his years in service to the military. In “Farmer’s Son, Military Career,” the author talks about his experiences in the service as an electronics technician, a combat crew member, scheduler, military training instructor, and many more. He also shares how he achieved the highest enlisted grade in the Air Force. This memoir also includes photographs taken through the years to hopefully help readers understand Vold’s story even more. Indeed, this heartfelt autobiography is truly worth reading. Other than reaching out to Veterans and military members in active duty, this book is a wonderful opportunity for the youth to look into the many facets of the life of a military man. He also talks about the beauty and power of remaining positive especially through life’s difficult moments. All in all, this memoir will appeal to many readers from different walks of life. Copies of “Farmer’s Son, Military Career” may be purchased through Amazon (https://www.amazon.com/Farmers-Military-Career-Clarence-Vold/dp/1634178610/) and other major booksellers online.